It’s Friday and as this is my very last #littleloves of 2014, I say goodbye to an amazing year with my two tots, hubby, family and friends and of course my blog. 2014 was my first whole year of blogging and what a year it has been. 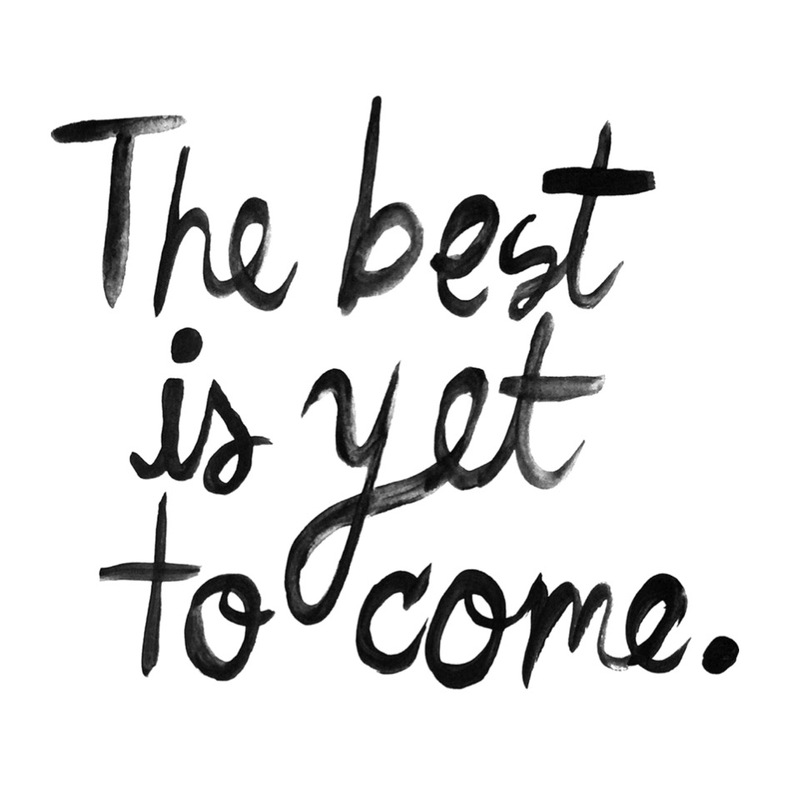 I am so excited for what 2015 will bring us. So I will join in one last time this year with the beautiful Butwhymummywhy and her lovely #littleloves supporters. A friend recently read this and said it was a good easy read. I love easy reads because usually I am too busy to get into something heavy. Sometimes I find myself reading a whole page and having to go back and read it again because I have no idea what I was just reading. Scary thing is I do this while driving too. No, just me. Look out for a blonde American behind the wheel then. It no secret I have a love for country music and Taylor Swift started there and even now turning pop I stick with her. I just downloaded 1989 album and am loving it. I finally got around to putting our family adventures at Center Parcs together in a little video. It made me want to go back so bad when I finished it. I am still new at recording so apologies its not professional hahaha. But I love watching it and funny enough the kids make me play it over and over amazed at seeing their own face on the screen. It’s hilarious. Once again I haven’t been out of my pjs that much this week, still battling the plague and the kids are battling now along side me. 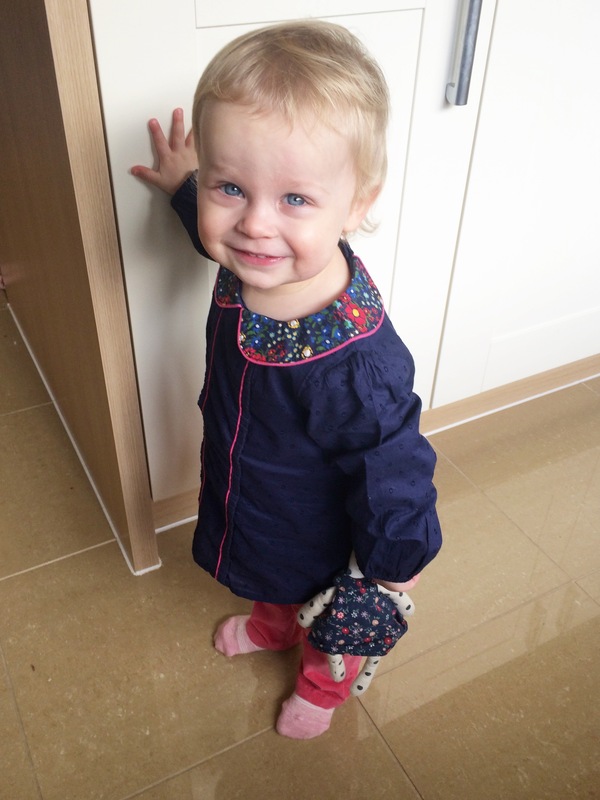 Missy Moo has been growing like a weed lately and just couldn’t make it until Christmas to get a few new Little Birds outfits from Mothercare. This haul showed up this week, and I had forgot I even ordered them. The navy blouse with a collar is one of my favorites on her. I think her smile below says she agrees too. She looked so grown up in it with her DKNY corduroy pink jeans too! 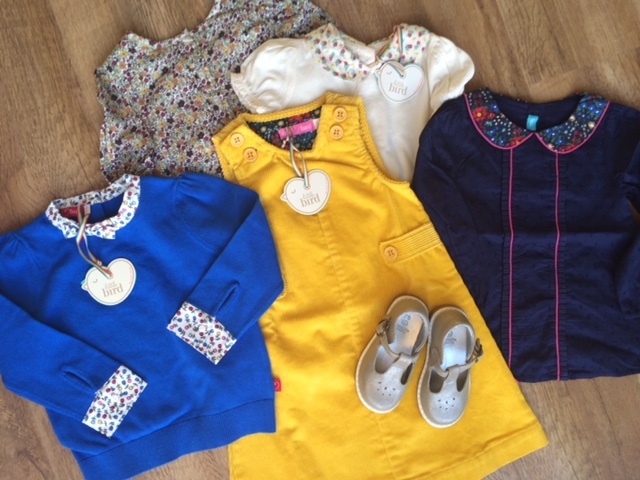 I love the Little Birds range we try to score a few things in the sale each time a new range comes out. It’s Christmas, well almost so I had to make the fudge! 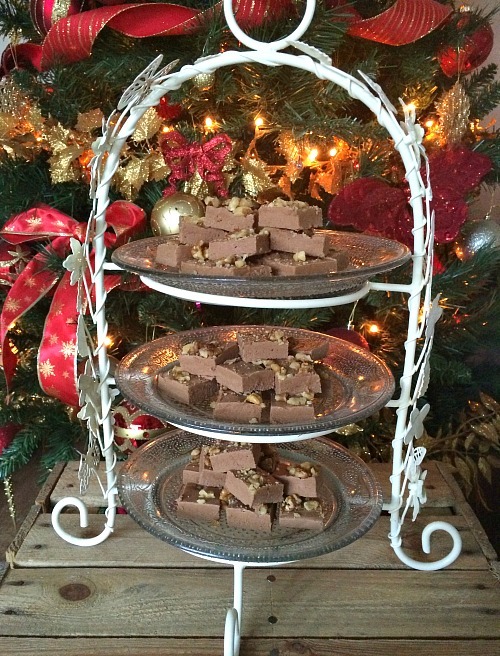 It’s a tradition to make Christmas Fudge each year for the neighbors, my friends and family too! There is nothing I love more than wrapping them up with ribbon and tags and delivering them to the ones I love so much and watching them squeal with glee. Tis the season to give and giving baked goods is the best. Can you tell I love evertthing Christmas? Merry Christmas to all and to all a HUGE THANK YOU for the continual support this year. 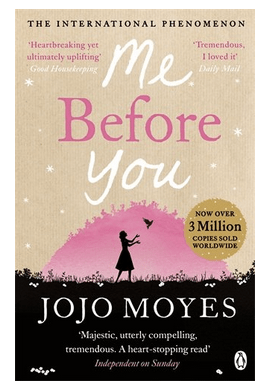 Thank you for reading LTM, chatting to me on twitter, repinning my pins and showing your love on my instagram! It means the world to me and blogging this year has really change my life in the UK for the better! Let’s cheers to all that and I hope 2015 all your dreams come true! Loved the video! Did you edit it yourself? Looked like you had a lot of fun!! Thank you Christine. Yes I did but I am so new at it I had the speed too fast and it was a bit too long. Need to work on videoing better in the new year. Ahh thank you for such a lovely message Emma I am so glad to have met you too. Blogging has changed my life and brought so many amazing people into it. I look forward to watching you blossom in 2015 as well! You are amazing. Happy Holidays. Thanks Amy and a very Merry Christmas to you too. It’s so easy do try it and let me know what you think. Can’t believe it’s the last 2014 little loves! Missy Moo looks gorgeous with her matching teddy there and I want to scoff all that fudge! Oh Nicola you have almost made me cry. Best blog comment I have ever received. Thank you ever so much for all the support and love in 2014. Happy Holidays to you and your amazing family. And sharing many more adventures in 2015! I love reading these posts and am thinking of doing the myself. Ahh congrats on your little girl. Great to have one of each we cant wait to go again. Thanks hunnh yes do join in in january. My friend runs the linky and is so sweet. Love to read yours each week too. Thank you Donna. Its the little birds collecfion from mothercare and i love it so much. Love your video! So sweet and you documented it so well, looks like you had an amazing time! The Little Birds collection looks utterly adorable! I am with you on the taylor swift song, been singing along to it this week.. Thank you so much Anna Marie. I hope you have the best holidays and I can’t wait to all be blogging again in the new year together. Thanks for the love and support too! The Little Bird range is so cute, Missy Moo will look gorgeous in all of those, I always forget to look at Mothercare for clothes for O. Love the quote on the end, something I hope is going to be so true for 2015! I really hope 2015 that quote is more than true. It’s been a rough ill end to this year. Yes I always actually forget to look for buba at mothercare but I am officially a little birds lover for Missy Moo’s clothes. They suit her. You have a lovely holiday yourself beautiful. Thanks for all the love and support!